A comment from a scientist of Darwin’s day reminds us that it was predominantly the scientists, rather than the theologians, who at first opposed Darwinism. This is the pre-publication version which was subsequently revised to appear in Creation 30(3):30–31. Early in 2004, the Ducal1 Natural History Museum of Braunschweig (Brunswick), Germany, celebrated 250 years of its existence. In acknowledgment of this, the German newspaper Braunschweiger Zeitung ran a weekly series, with historical articles featuring selected years out of that quarter-millennium. One of these, on 29 March, featured the year 1859, when Darwin published his On the Origin of Species. The issue reprinted an 1859 interview/discussion with Professor Johann H. Blasius, then the museum’s director, about Darwin’s evolutionary theory. The following is the translation. [Interviewer] Dr Blasius, what is your first impression of Darwin’s book? 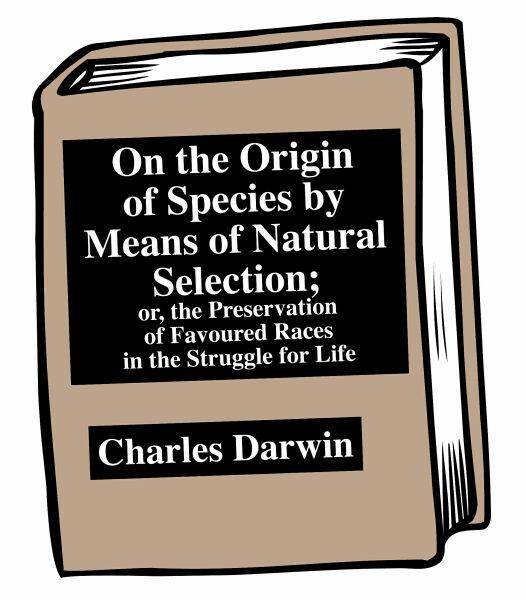 Blasius on Darwin’s Origin: I have also seldom read a scientific book which makes such wide-ranging conclusions with so few facts supporting them. [Dr Blasius] I have seldom been so quick to buy a book. I must add to that, though, that I have also seldom read a scientific book which makes such wide-ranging conclusions with so few facts supporting them. You hold the evolutionary theory to be unfounded? 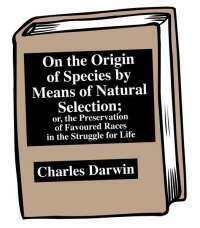 Yes, Darwin wants to show that Arten [types, kinds, species] come from other Arten. I regard this as somewhat of a highhanded hypothesis, because he argues using unproven possibilities, without even naming a single example of the origin of a particular species. Not only according to my opinion. Zoologists who engage in empirical research would generally regard as valid only that which can be observed in an experiment or in free-living nature. And what one observes there is that the offspring of a plant or animal inevitably resembles the parents, i.e. they belong to the same Art. The immovability of the boundaries of the Arten is, for most of us, a law of nature. Which facts could convince you of Darwin’s evolution theory? I will only believe in it when such transmutations [as Darwin says have taken place in the remote past—i.e. fish to amphibians, etc. — Ed] can be indisputably demonstrated, either in the realm of paleontology [fossils] or in free-living organisms. Nearly 150 years later, we are still waiting for such transmutations to be demonstrated. As we have shown previously, one species can ‘split’ its gene pool such that there are now two types that can no longer interbreed. So by the modern definition of species, a new species has arisen.3 But this takes place within the existing genetic information of that original population, i.e. nothing new is added. Just as a genetically rich ‘mongrel’ dog population can be ‘thinned out’ into genetically poorer varieties/breeds, so the original ‘dog kind’ would have given rise to wolves, coyotes and dingos in a non-evolutionary, downhill process. (Evolution from frog to prince requires expanding gene pools, not contracting ones.) But we have yet to observe the type of change that could demonstrate the feasibility of even a tiny step up the ladder leading from microbes to microbiologists. According to biology professor Dr Scott Minnich,1 the evolutionist researcher Dr Richard Lenski bred bacteria for more than 20,000 generations with all sorts of selective environments in the hope of getting a spontaneous increase in complexity—i.e. real evolution in the lab. He showed that they adapted to their environment, but the experiment failed to demonstrate the emergence of true novelty or spontaneous complexity. The bacteria were not only still bacteria, they were the same types of bacteria. So, says Minnich, he decided to work on digital organisms instead—computer simulations, which gave him the result he wanted in 15,000 generations. The lesson is clear: the real world of biology is very different from the carefully set up and manipulated world of electronic on-screen simulations. Minnich, S., Paradigm of Design: the Bacterial Flagellum DVD, Focus on Origins series, 2003. Return to text. German herzoglich, presumably established under the auspices of the local duke (Herzog). Return to text. I.e. no transformation from one basic kind of species to another quite different kind is possible. I’m sure that Blasius would have had no problem with ‘technical speciation’ (using the modern definition of species which was developed years after his time) in which the splitting off of two types of salmon (that can no longer interbreed) from the one parent group can take place with no added information. Search creation.com under ‘speciation’. Return to text. Catchpoole, D. and Wieland, C., Speedy species surprise, Creation 23(2):13–15, 2001. Return to text.